at the online company: Play with a Pro. Well, yesterday they announced a new free film of Pahud and oboist,Schellenberger discussing " Breathing and Blowing "
A great discussion indeed! Well worth downloading and viewing. Navigating the site of Play-with-a-Pro is a little confusing so here are the steps for those who want to figure it out more quickly than I did at first. 2. 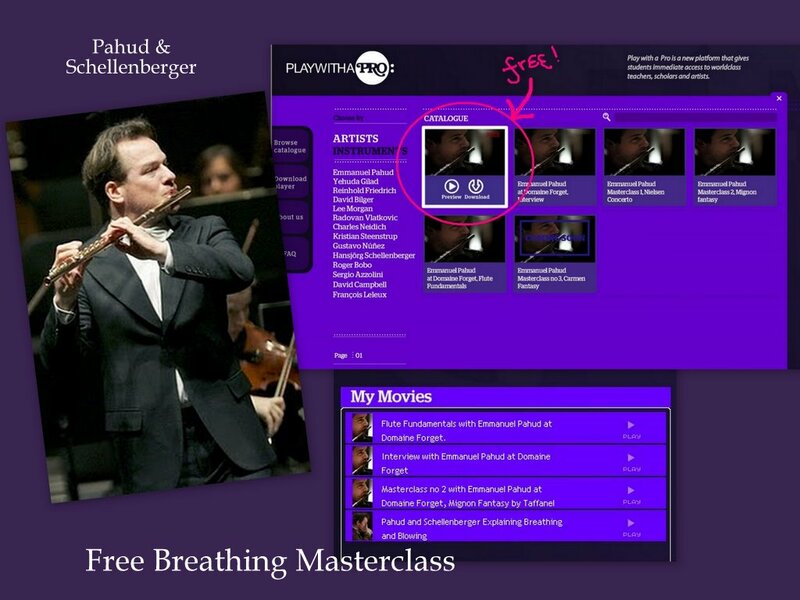 Pahud's films are first in their catalogue and the free breathing video featuring Pahud and the principal oboist of the Berlin Phil, is the first one on upper left. (see my jpeg at top of this post - click to enlarge). 3. Click DOWNLOAD for mac or pc, to download the movie-playing software. 4. When software is downloaded, it will appear as a PlaywithaPro icon on your desktop. Close your browser, and now open the black desktop icon. 5. Choose BROWSE CATALOGUE from desktop icon, and find Free Breathing and Blowing Film. It is marked $0.0 in price. 6. Now here comes the strange part: Click on Pay with Credit Card on lower right. 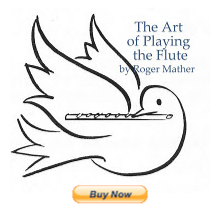 Yes, it is free, but this is the only button that starts the download, strangely enough. I just loved knowing that what I've been teaching about breathing for 20 years is correct and as Schellenberger says, not often taught. This is great information all around. Love these films! Jennifer, thanks for providing these instructions. I was scratching my head wondering how to get the video from the cart to the player and it didn't occur to me to click the 'pay' button! !